Today we woke to rain and dark clouds, which isn’t a bad thing in Panama. The rain fills the water tanks, changes the view to a deep dark green, and alters the aviary flight pattern. So, in keeping with my RIT Program (Retiree in Training), I hit the hammock with coffee and book in hand. After a little post breakfast (leftover lobster from last night..yum!) snooze time with Clive, I woke up and listened to the roar of the rain, watched a hawk catch his brekkie and the Kiskadies shaking rain off their feathers, then I took a little trip down memory lane. Today is January 16th, and even though the 13th was my last official day of work, today is my official first day of retirement. Queue the violin music…we’re going back in time….25 years ago, Kyle was a baby, my knees were both blown to shreds from teaching skiing for 10 years, and dealing blackjack was getting old, so I decided to take a class to learn to be a travel agent! The plan was to be able to travel cheaply and to have a sit down job with normal hours…ha – boy was I wrong! Since there weren’t any travel agencies hiring, I took a job at the Tahoe Airport with Wings West Airlines. They immediately sent me to San Luis Obispo for a couple weeks of training where I learned a gazillion city codes, ramp hand signals, and how to avoid props when hooking up an APU! Back in Tahoe, I sold tickets, worked the gate, loaded bags, and guided airplanes…all in a skirt and heels..ha! In a month I was hired on by American Airlines, which was taking over the AirCal operation at Lake Tahoe. What a break for me, or as they say…timing is everything! I worked the AA ticket counter in Tahoe for about 6 months, until they sent me to Dallas to become a Load Agent. So for another year I planned loads and worked operations in addition to working the counter. It was a fun time, working in a small station with a bunch of ski bums and crazies..ha! After Tahoe I headed to Honolulu, basically doing the same job on a much larger scale. Instead of planning loads on 737’s, I was working the AA MD11’s, and the Air New Zealand 747’s that were planned manually in kilos! After I’d had enough beach time, I headed home, which meant that I had to go to Dallas to get a job if I wanted to stay with the airline. It wasn’t what I really wanted to do but now I was a single Mom and my most important priority was figuring out how to afford a good place for Kyle. So off we went – neither of us too happy with the idea! I worked at DFW for a while, and then transferred to the Flight Academy where I worked in Load Control. American has centralized weight and balance, so each agent would work up about 50-60 plans a day for flights all over the world. I also earned my Flight Dispatch license with the hope of moving into dispatch and better money, but those jobs are hard to come by! I spent a few years in various areas of Flight Operations before moving over to the management side of the business and taking a job in Headquarters, writing the requirements for new operations systems. As I look back on all this now it really is kind of amazing how my career kept moving forward considering that I had no college education, and didn’t know anything about computers. I watched and listened and learned, and I have a good sense of how processes fit together and how they can be streamlined. I wrote specs for programs to load planes more easily and more efficiently, and in the process of doing that I was promoted to be the Technical Lead of Load Control – kind of scary if you know my lack of math skills! After we finished the U.S. Airways project, I was offered a job at Sabre leading a new group that would be installing operations systems for other airlines. Two weeks after moving over to Sabre, the manager that hired me was fired, the group I was to lead was dismantled and I was left hanging out in an IT company as one of very few non-programmers. Not good! I quickly got my Project Management certification and started managing anything and everything. I worked on a project in Buenos Aires, installing our systems into Aerolineas Argentinas, and taught flight operations to Hawaiian Airlines’ personnel. Then in 2001 I received a big break. American Airlines was selling off the Sabre Group; the programming side of the business, and in the process was starting a huge new project with the intent of replacing all their old Flight Operations systems. As part of the sell off, and in order to retain a flight operations “brain trust”, American Airlines negotiated with Sabre to retain 50 key employees. It was a very hush-hush deal, and I was fortunate to be included in the 50. So instead of losing my ties with American completely, I was back in the airline to start a huge new project that we named Horizon. Then came 9/11 and everything stopped while we worked to save the airline. I worked on the Horizon/Flight Planning Replacement Project for many years, traveling between DFW and Denver quite often. I was fortunate to be able to telecommute with the project when I moved up to Coupeville to start The Blue Goose Inn in 2006. Since then you probably all know the story – or have at least heard some of the good ones! The tale of becoming an Innkeeper is a whole other story!! 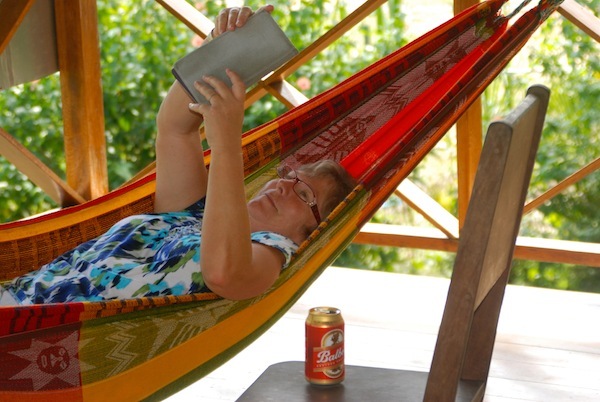 So here I am, at the end of my AA career, sitting in a hammock in Panama listening to the cacophony of birds and the pounding surf, planning a trip to town on our bikes followed by …? The schedule is open, plans are yet to be made…it must be time for a second cup of java….I could get used to this! Now, since you made it this far, if you’re still awake and would like to see photos….click HERE to see the real view from the hammock! Flora y Fauna photos taken mostly from our house! 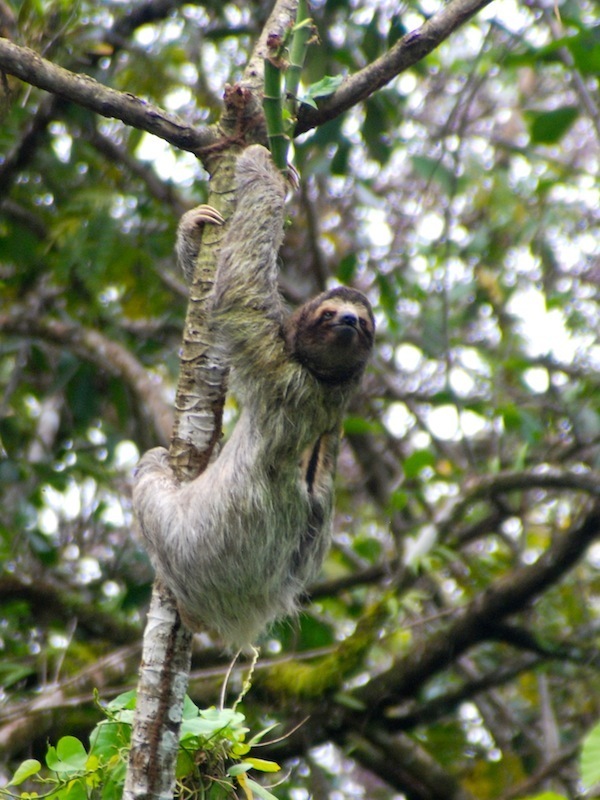 Three-toed Sloth - right outside our living room window! Thanks for your nice note! I can’t wait to meet you – hopefully soon! We are having a great time exploring and laughing our way through Panama, and soon we’ll be on our way to see Ron and Cindy..yippeee! Sue….thoroughly enjoyable and interesting reading. As Cindy said, I too am glad for more details on your pre- and during-AA years. Your reminiscences prompt me to think more of writing down some of my own– to be read by close friends– of my airline work between 1964 and 1993. And the gorgeous photographs, there’s more than one National Geographic moment in your posted collection. I look forward to sharing time with you and Marty on your return. There’s a bottle, two, or three of wine with our four names attached. P.S. Expecting upwards of 14″ of snow hereabouts over the next 24-36 hours…. Thanks for the nice note, and we can’t wait to see you guys too….plan a trip up whenever your schedule permits! 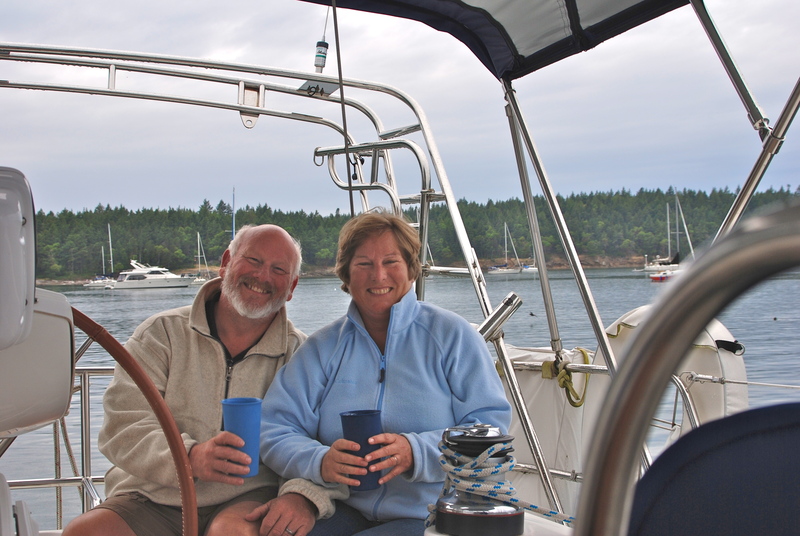 Sue, really enjoyed this post – I knew very little of your AA years so glad for some details. I’m especially enjoying your photography and seeing thru your eyes the beauty and exciting details of Panama. There are so many more creatures than I imagined. I started ‘feeling’ the humid steaminess of the tropics with every new photo and description! Even beautifully photographed the bats still creeped me out – haha. I suspect I would have done a tad more squealing about them than you probably did. Thanks for sharing the sights of your current world. And enjoy that hammock. I may have already replied…if so, please disregard! The WIFI sometimes gets bogged down here when it RAINS!! And yes, it’s raining now, so I can’t hear myself type! 🙂 Thanks again for the kudos, fun to hear your reactions to the photos and ramblings.